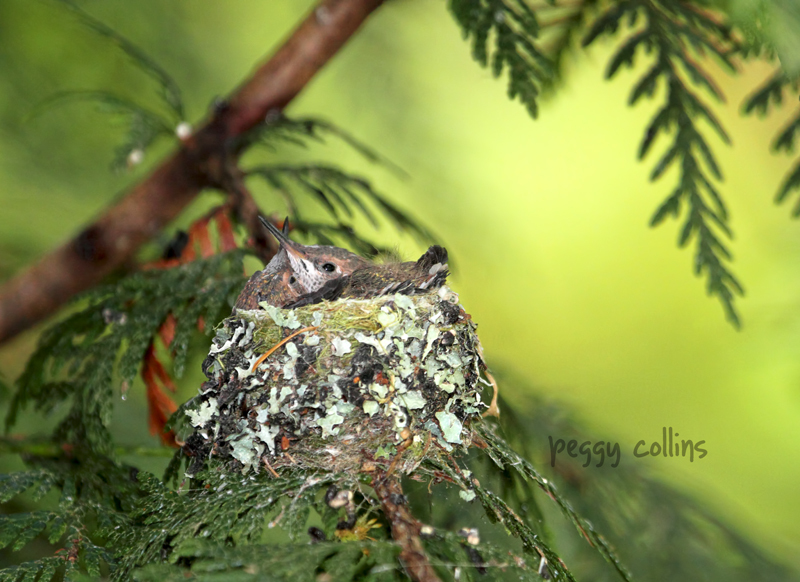 I recently had the amazing experience of being able to see two baby hummingbirds grow up. 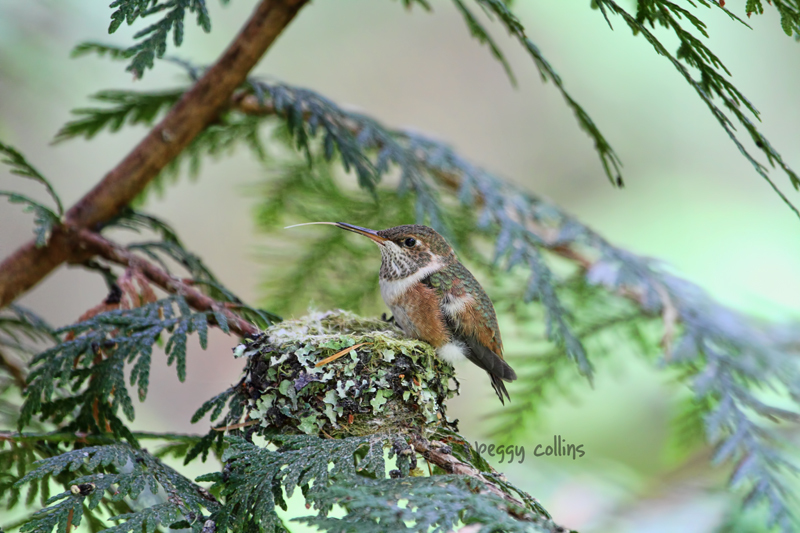 A customer of mine kindly let me know about a rufous hummingbird nest and I jumped at the chance to see it. One day she took me there, and I managed to get one shot of the mother hummingbird sitting on the nest. Here are the baby hummingbirds a few days later. I noticed that one of the babies looked a lot smaller than the other so I did a little research. Apparently hummingbirds almost always lay two eggs, and usually the eggs are two days apart. However that doesn't explain the size difference between the two babies because hummingbird eggs usually hatch on the same day. 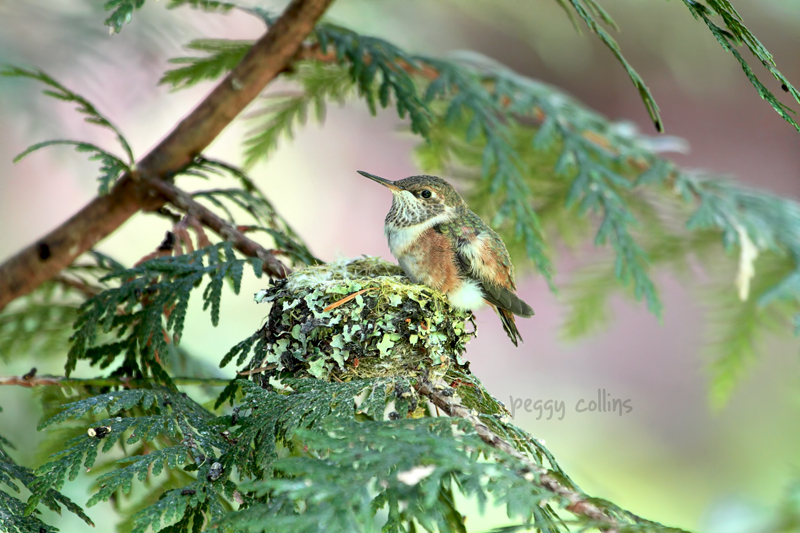 Knowing that it takes about three weeks for hummingbirds to leave the nest, I visited a couple of more times. Here's a shot of the two hummers when they were starting to get too big for their nest. 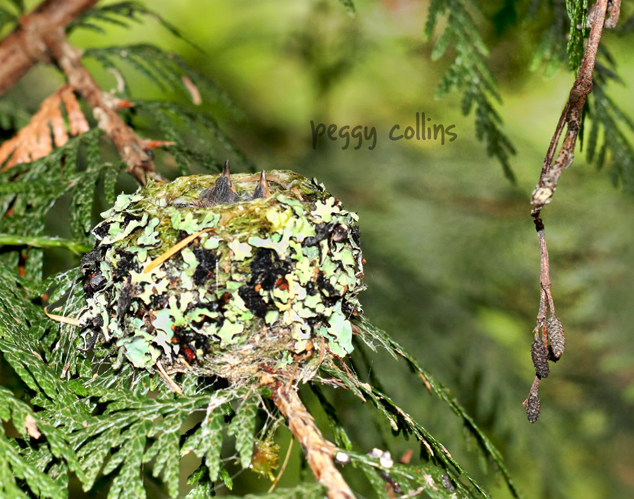 I returned a few days later to find that one of the hummingbirds had already left the nest. He was flying around, making peeping sounds at his mother who was also nearby. I found the other baby hummingbird sitting on the edge of the nest. She stuck her tongue out a few times...I'm not sure why hummingbirds do this, but they do it fairly often. 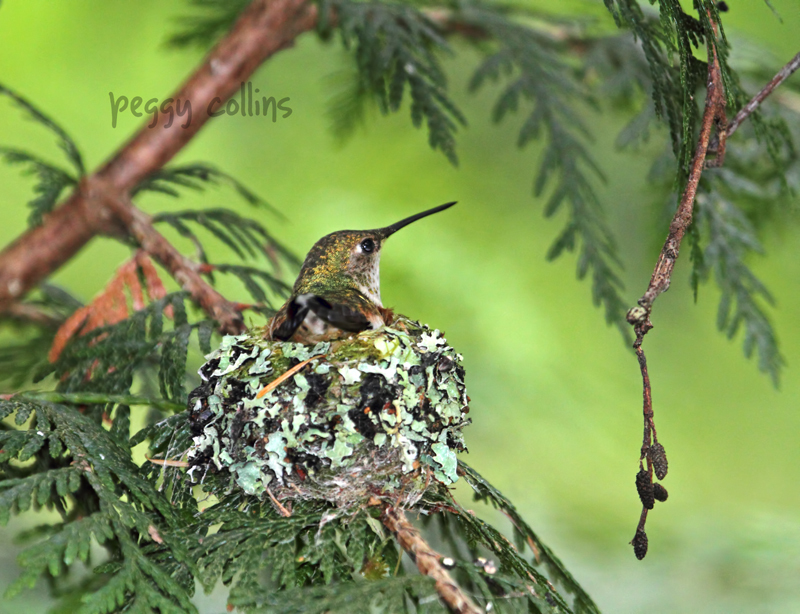 When I walked past the nest to leave I heard the unmistakable buzz of a hummingbird in flight. The baby hummingbird had left the nest! She flew to one of the cedar tree branches, was fed by her mother, then flew a little further. I stayed for a few more minutes, watching the happy family. What an incredible feeling to be able to witness this. I'll always remember it.